This airy, eclectic spot takes classic Mexican dishes and gives them a modern spin, complete with organic ingredients and vegan options. 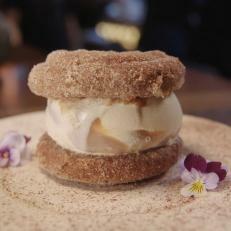 Order the Churro Ice Cream Sandwich for a sweet finish. This irresistible dessert features caramel ice cream nestled between two deep-fried cinnamon pastries.